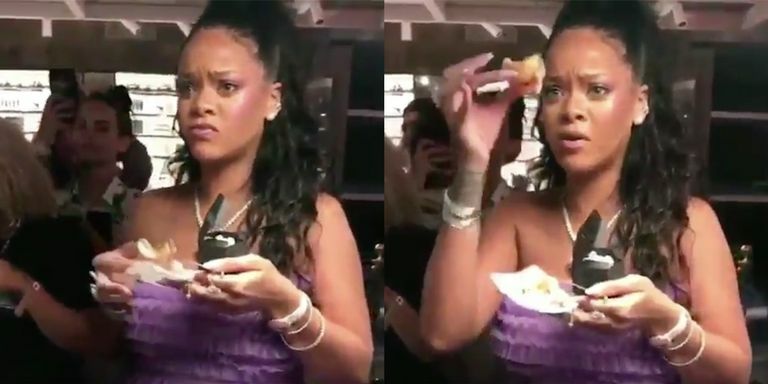 Last month Rihanna’s highly anticipated FENTY beauty collection dropped in the UK and it was ahh-mazing! 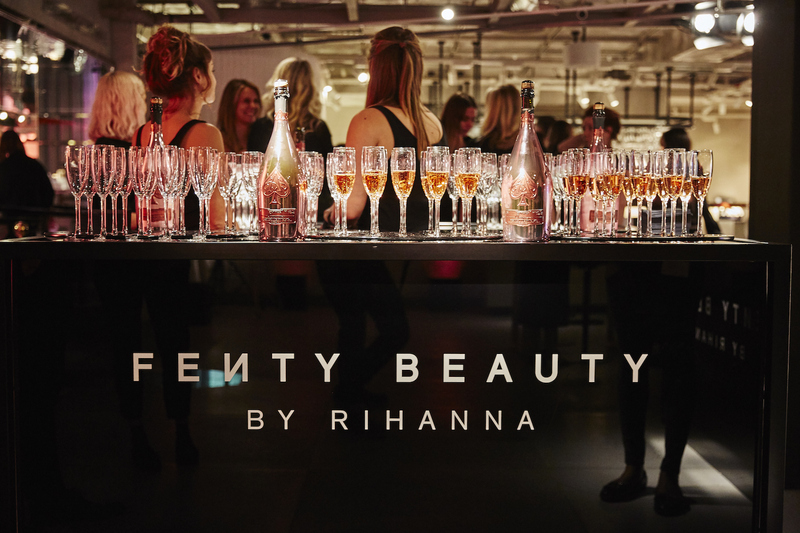 In celebration of the launch, Rihanna hosted the event of London Fashion Week, shutting down a street in Knightsbridge. 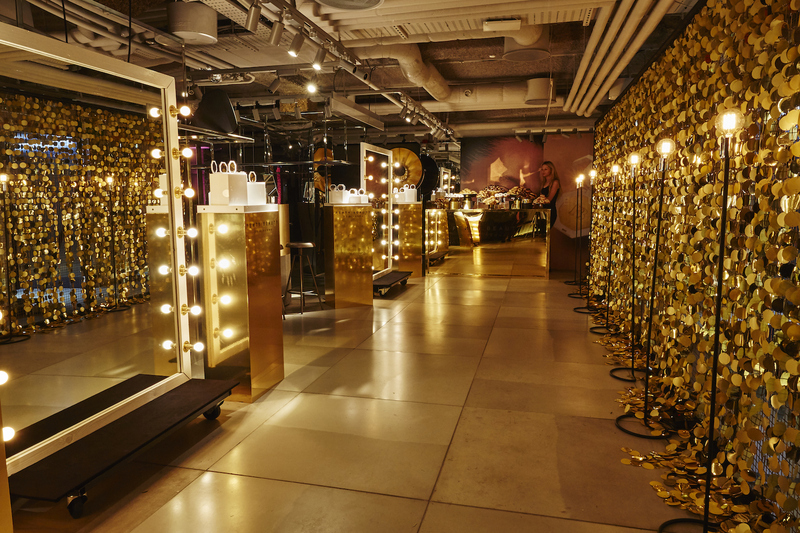 Event’s team Be Seen successfully transformed the lower-level of Harvey Nichols into a completely immersive experience, bringing the brand to life with their incredible imagination and production. 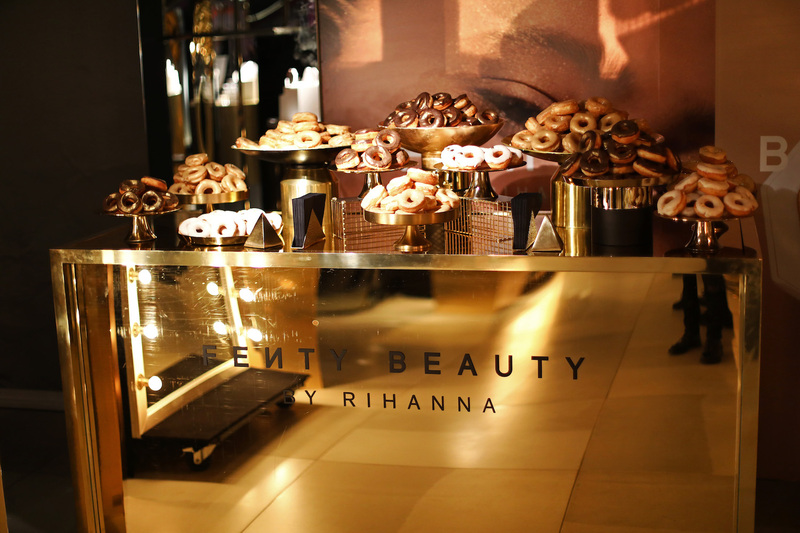 Tasked to match this setting with a Fenty worthy menu, SP founder Alex Head put her creative mind to work. 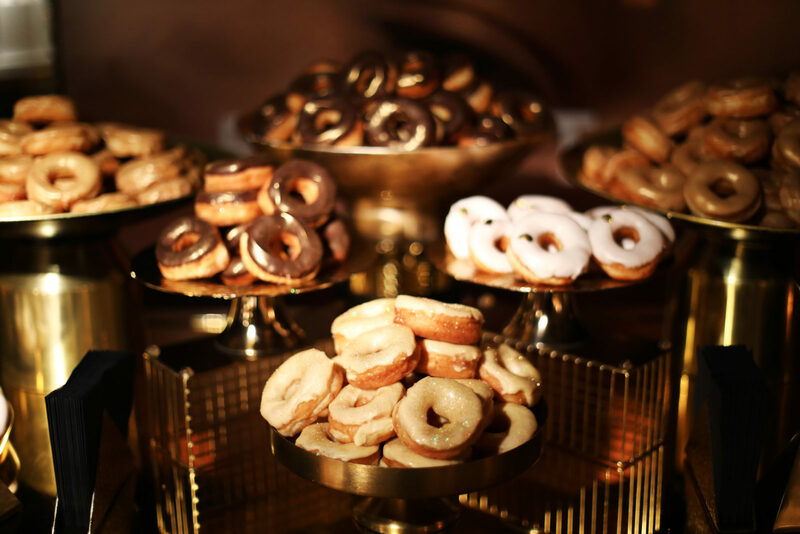 All that glittered certainly was gold (& donuts)! Arguably one of the most talked about points of the collection, Rihanna’s range of 40 different shades of foundation was created to be inclusive of every single skin colour. So, how do you replicate that with food? Candy floss of course! The team created an ombre selection of our favourite sweet treats. Who can go wrong with Mac n’ Cheese? Pop it on a stick and this little morsel of comfort food was the perfect refuel for the night of the dutty wining. With hundreds of press, influencers and VIP’s in attendance, it was time to impress and even if we do say so ourselves, we certainly did that! However, don’t just take our word for it..
From #BadgirlRiRi’s mouth herself, Social Pantry are the BOMB!